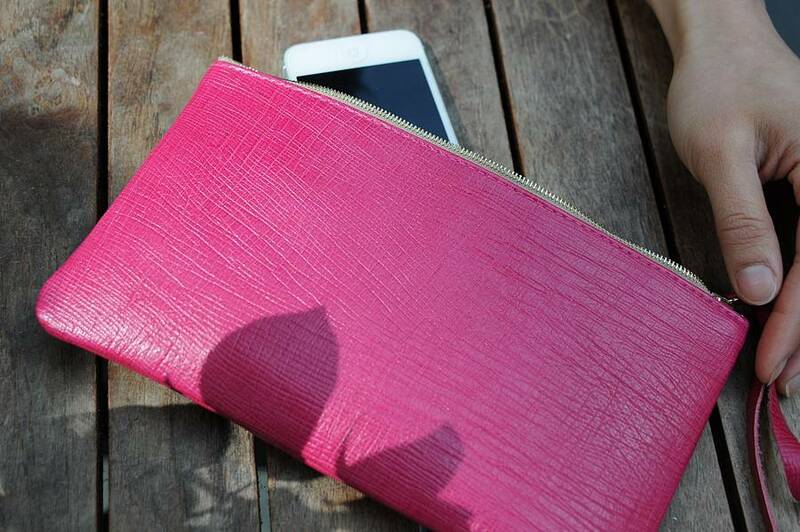 Beautiful and versitile handmade pink leather clutch. 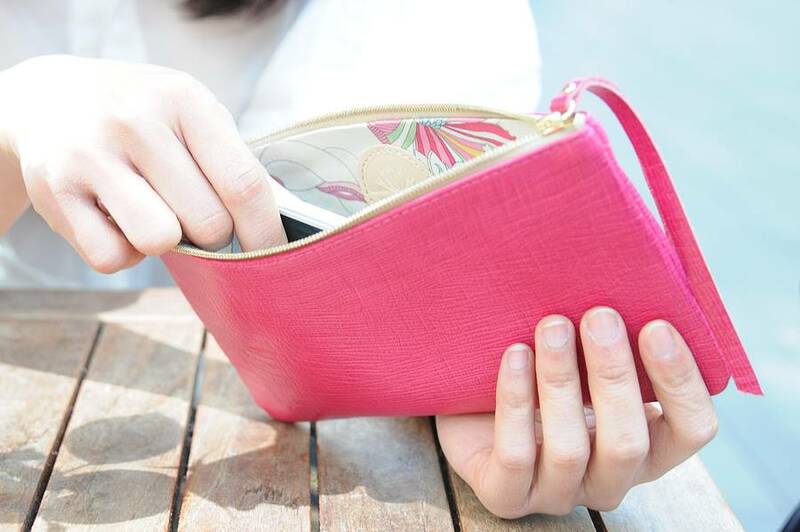 The Monmouth clutch is made from pink Italian leather, and is lined with Liberty fabric and has a pocket inside to store cards. 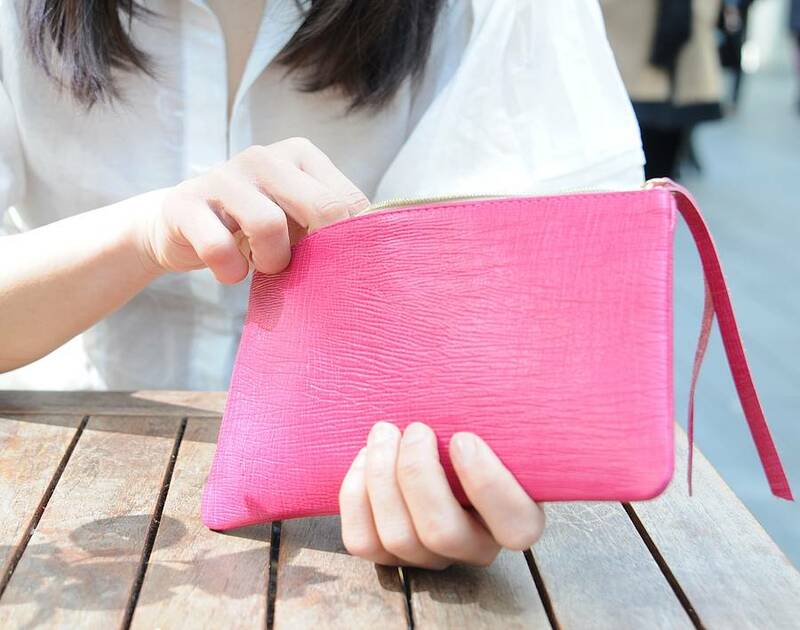 The clutch can be used as an everyday clutch or for special occasions, or as a travel case; it easily stores a passport and currency, or as somewhere to store make-up and toiletries.